Peninsulares (Spaniards born in Spain). 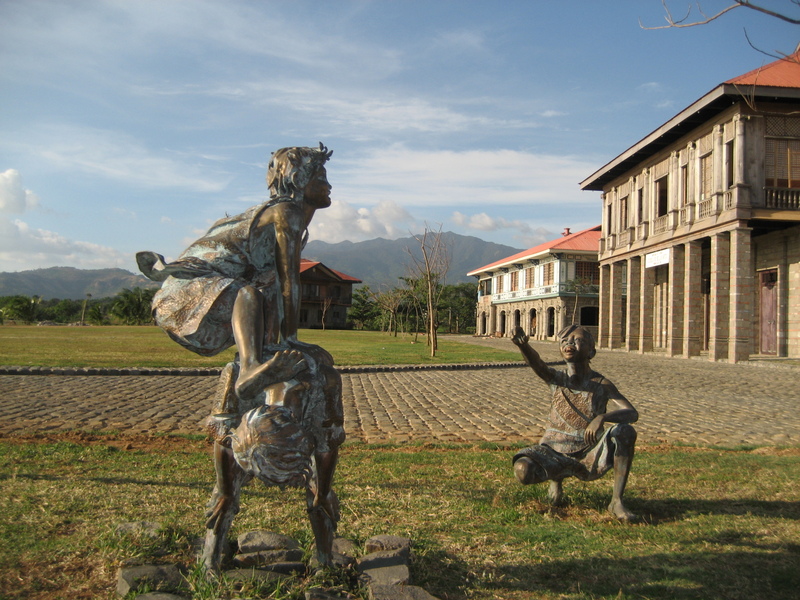 Insulares (Spaniards born in the Philippines). Mestizos or half-breeds who take unbridled pride in the “more superior half” and would rather ignore the “inferior”, perhaps accidental, perhaps never-intended half. And then there were the Sangleys or Chinoys, along with the Indios. Interestingly, the Spaniards born in the Philippines were initially called “Filipinos” while the natives were called “Indios”. Over time, they were tagged as Insulares while the Indios remained……..er, Indios. 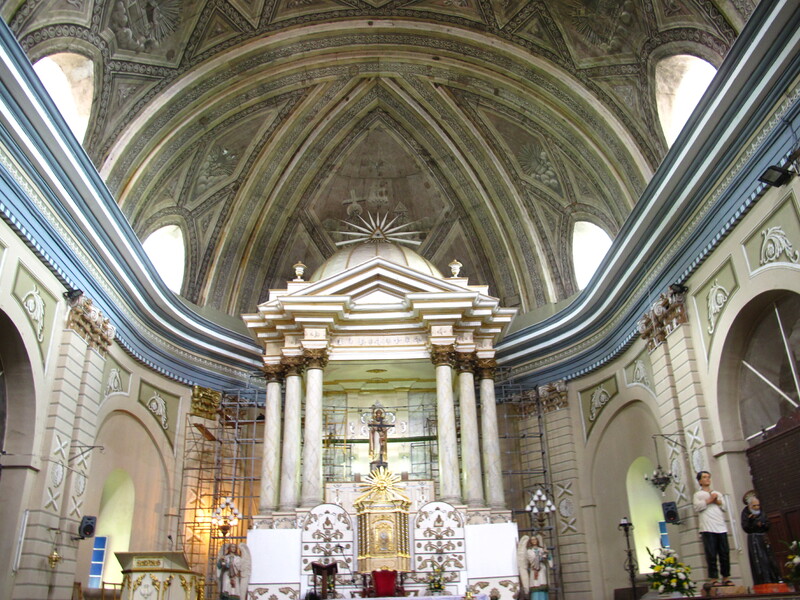 A Very Grand Altar and Magnificent Ceiling and Dome. 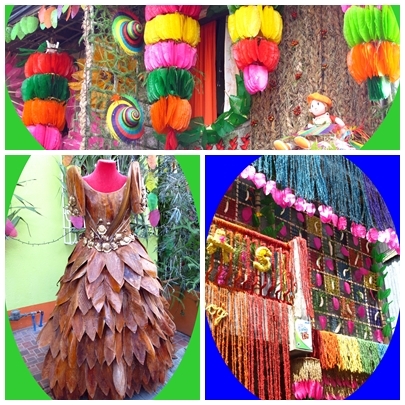 Only In Taal, Batangas. What was that? Like it or not, such was the imaginary caste system in the olden days. Hate to think that it may actually still ring true today as the ugly side of our history rears itself back into present-day society. I dare not venture a guess, but there must have been such a great divide then as depicted in Rizal’s Noli and El Fili. 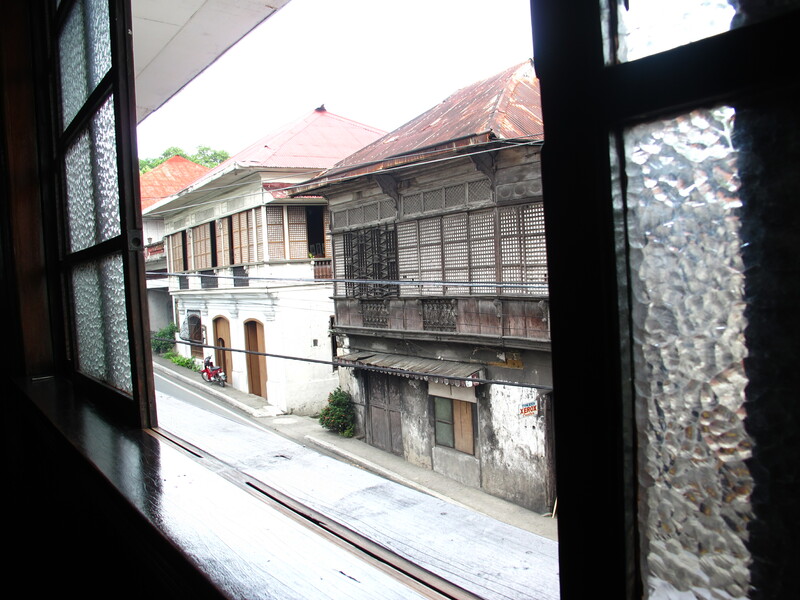 Passing many ancestral houses along a narrow street in Taal, Batangas, looking out the windows of such heirloom houses, imagining the senor and senoras in their caruajes while Indios walk along the same narrow streets, we had a glimpse of the past in this heritage town. This vision all the more reinforces how great our heroes were and are. Many of them come from the Mestizos or half-breeds, the Ilustrados, yet they reached out to join the Revolution with the peasants in the name of love for country. Many of them opened their huge houses to hold secret and not-so-secret meetings with the others who joined the Revolution. All patriots. Rich and Poor. 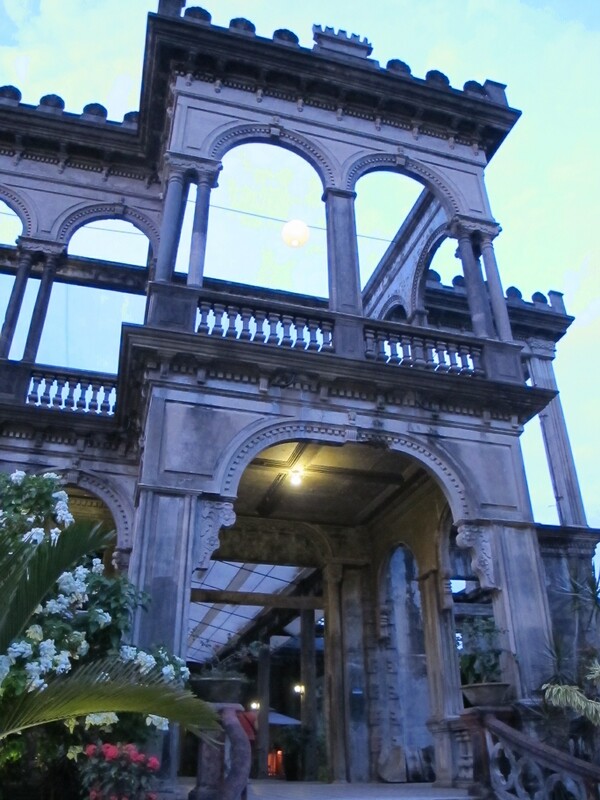 Ilustrado or Unschooled. They were bound by the same love for country. 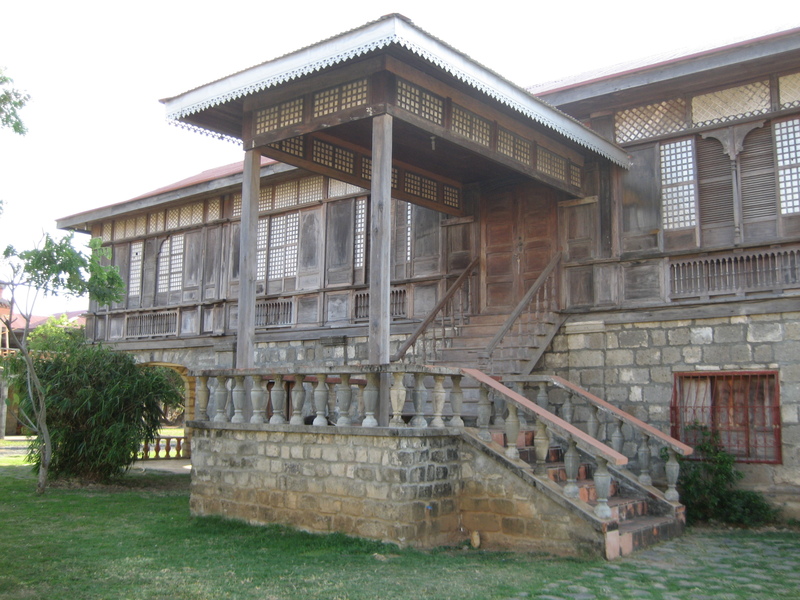 We visited 4 of these heritage houses in Taal. Wish there was time to visit more. 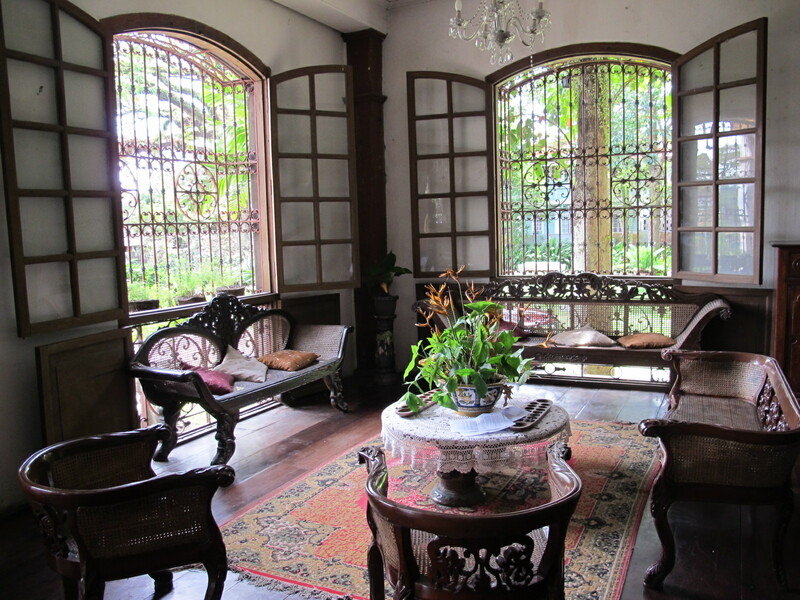 Perhaps even sit down for a dinner in some ancestral house in full Filipiniana regalia. But on this humid day, we were quite content to have visited these 4. But I intend to head back. 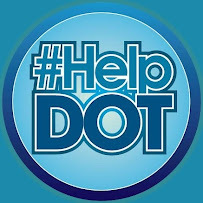 So the blog on the heritage houses would have to be put on hold. 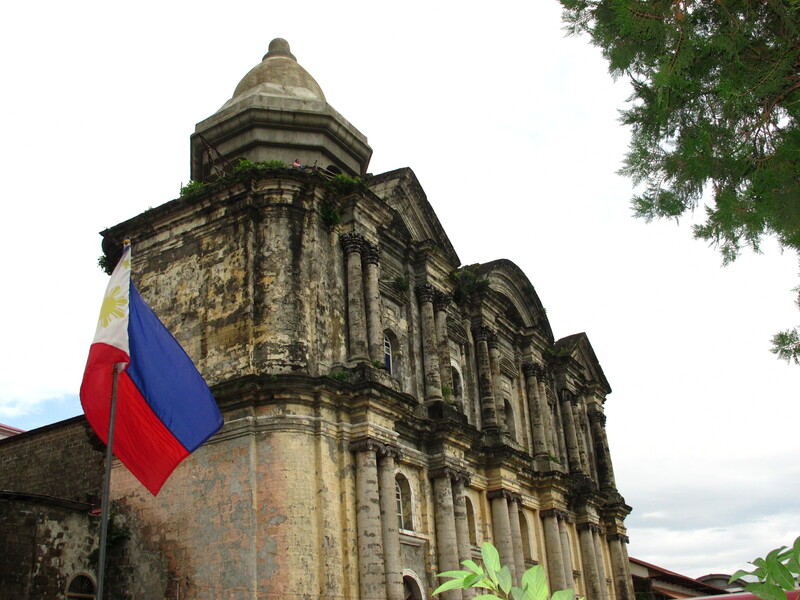 For now, let’s talk about the 2 religious sites in Taal, Batangas. Make that 3, to include the Santa Lucia Well which is marked by a coral stone arch with a bas relief image of the Virgin. It is claimed that the spring water has miraculous healing powers. Having said that, I do not understand how the local government here cannot do something to ensure that the sacred place and its waters are kept clean. Mi apologia. But we need to vent our frustrations some more. We had a couple of guides from a local tourist agency and a couple more from the Municipal Hall. 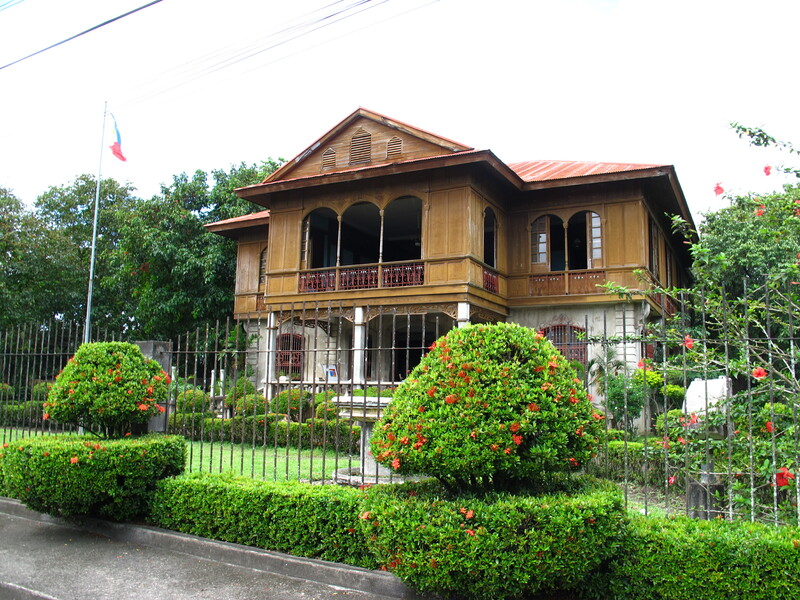 The town of Taal is one interesting heritage town so rich in history. But we felt so deprived of a “guided tour” as we traipsed along the heritage houses and religious sites without much ado on what these landmarks mean to us. We asked questions too, and found the answers so inadequate. We do not blame them, as they were likely not “prepared” and guided to conduct a proper tour. 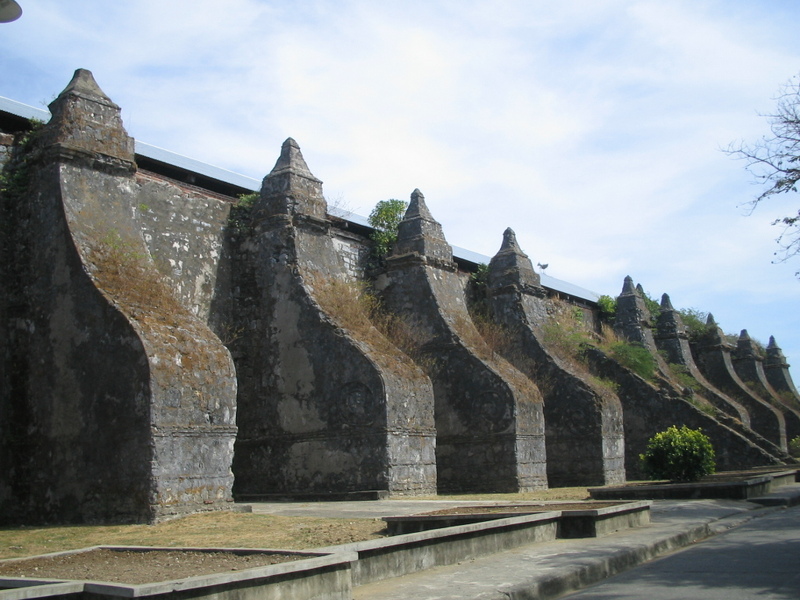 But this should alert the Tourism Officers and the local government to ensure that every Taal Resident is aware of their history, their heritage. 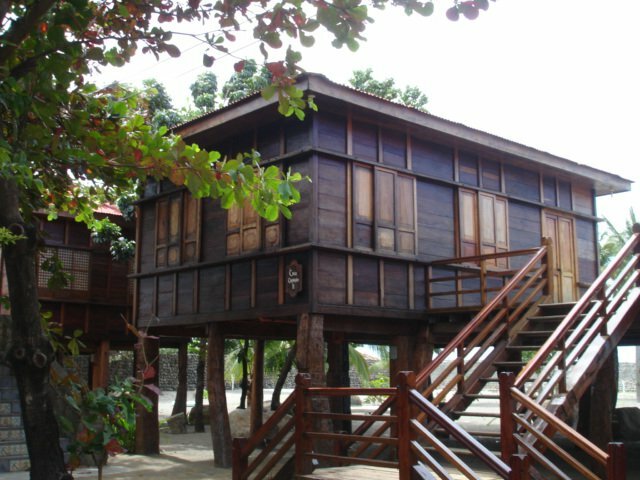 Tourism in this neck of the woods can only prosper if even locals like us, Indios as we are, can appreciate the story and the history behind these landmarks. 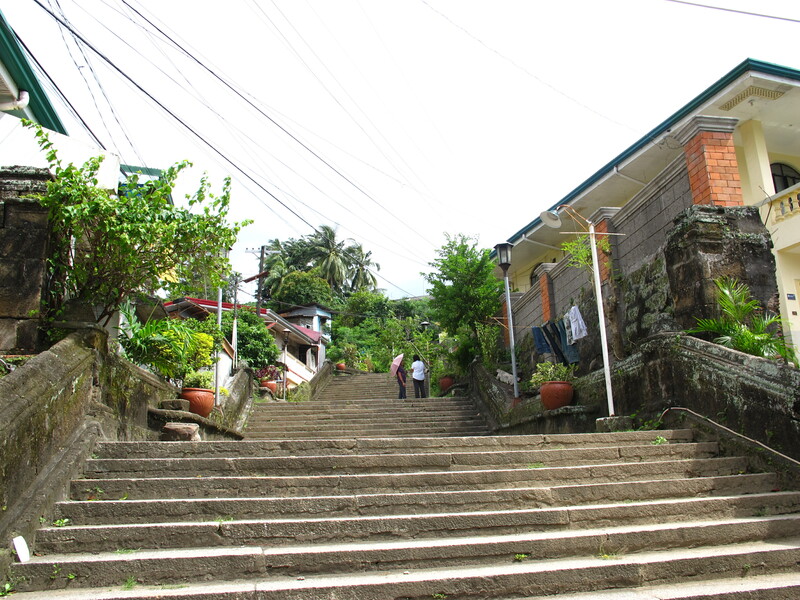 The Hagdan-Hagdanan, now called San Lorenzo Ruiz Steps. 1. 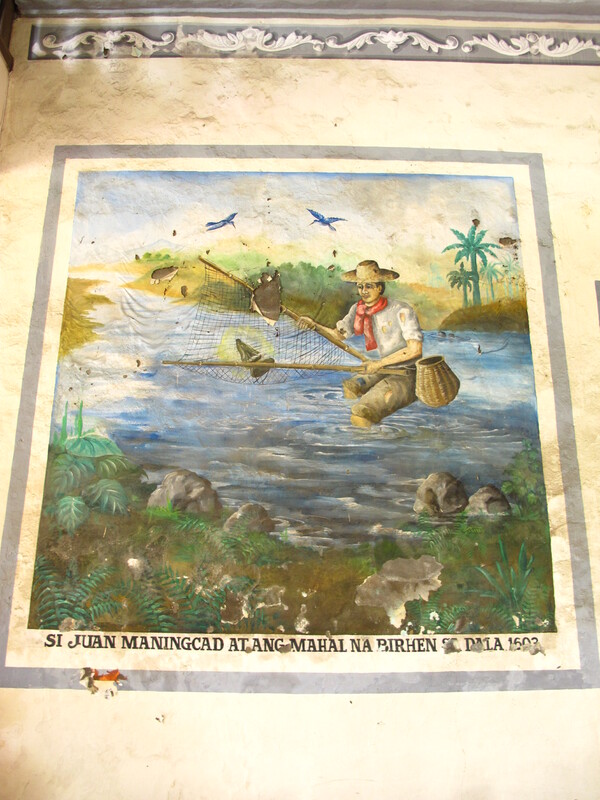 The image of Our Lady of Caysasay was fished out of Pansipit River by one fisherman named Juan Maningkad. 2. The image had this habit of disappearing and reappearing in the place where it was originally found. 3. When it vanished for a longer time, it was found anew guarded by 2 kingfisher birds called Casay Casay. 4. 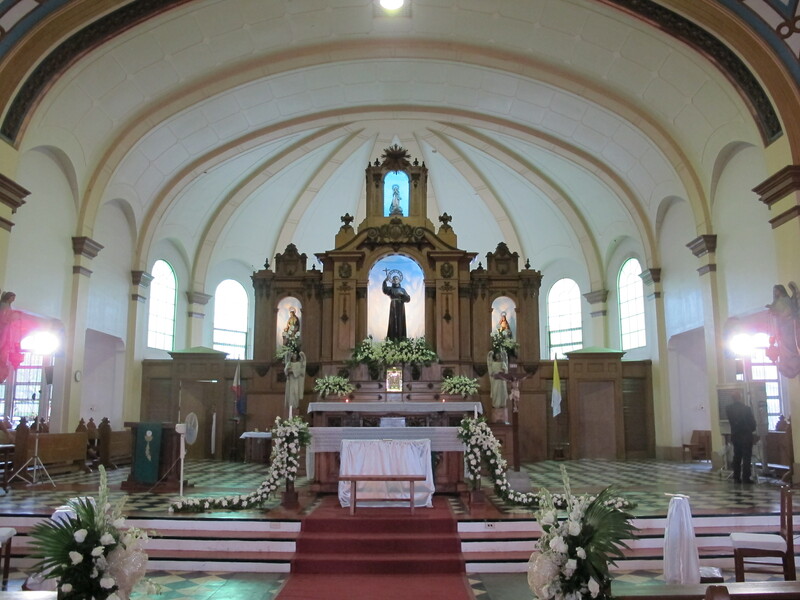 The Parish Priest then decided to have the Shrine built upon the site where the image was discovered. There it remained. Now, I’m oversimplifying here but that’s the gist. Who wants a long complicated story, anyway? 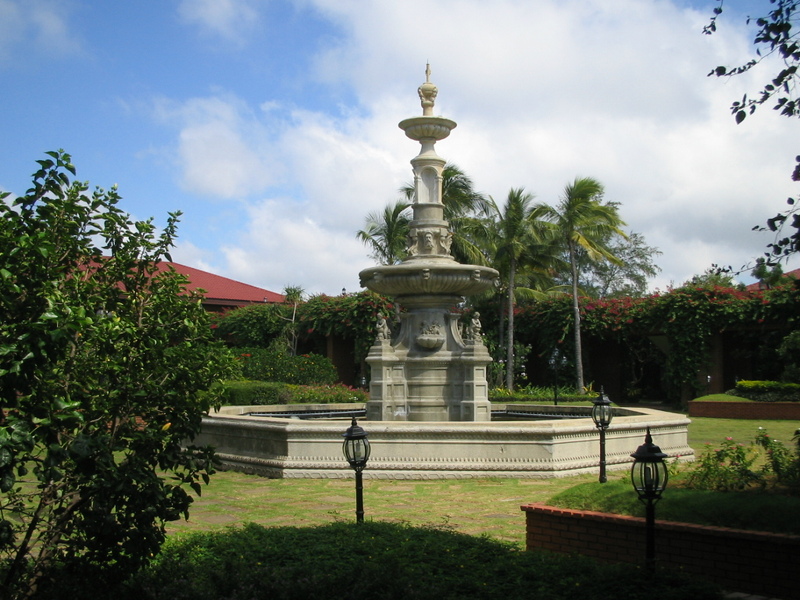 As for the Sacred Well of Santa Lucia, who knows why it is called Santa Lucia Well? They had no answers. 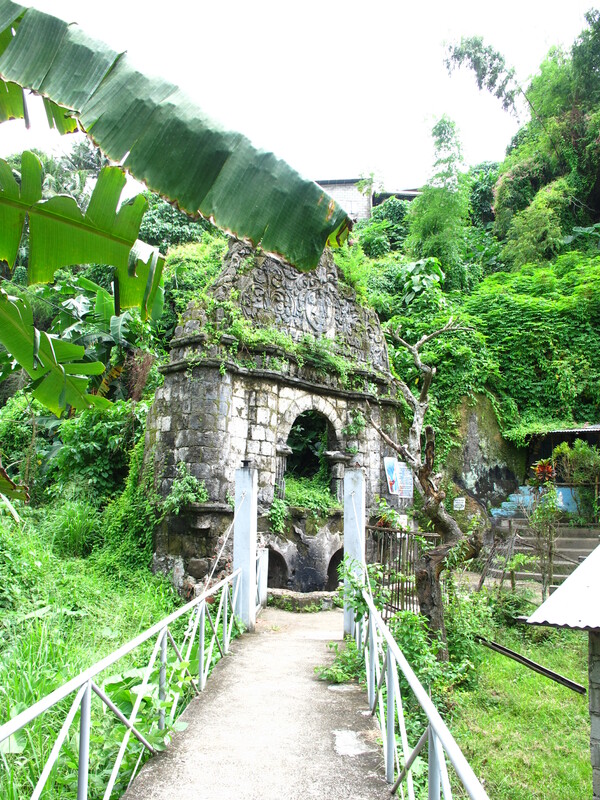 We only know there used to be a Chapel there but only the Arch with the bas relief remained after a Taal Volcano eruption back in 1754. So, I have decided I should go back. Maybe get a better tour guide. Or perhaps simply do more research. After all, the Net has all the answers. But that is not the point. 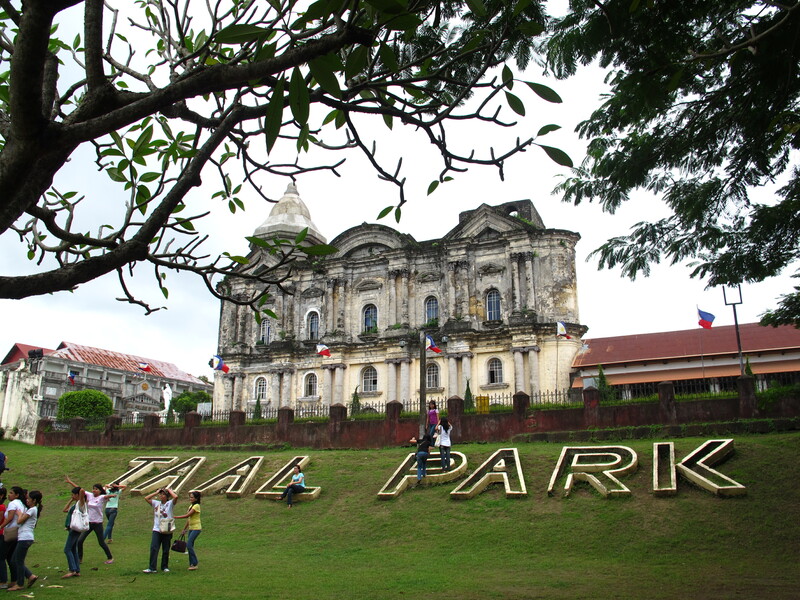 Taal is so rich in history you could almost smell its tourism potentials. 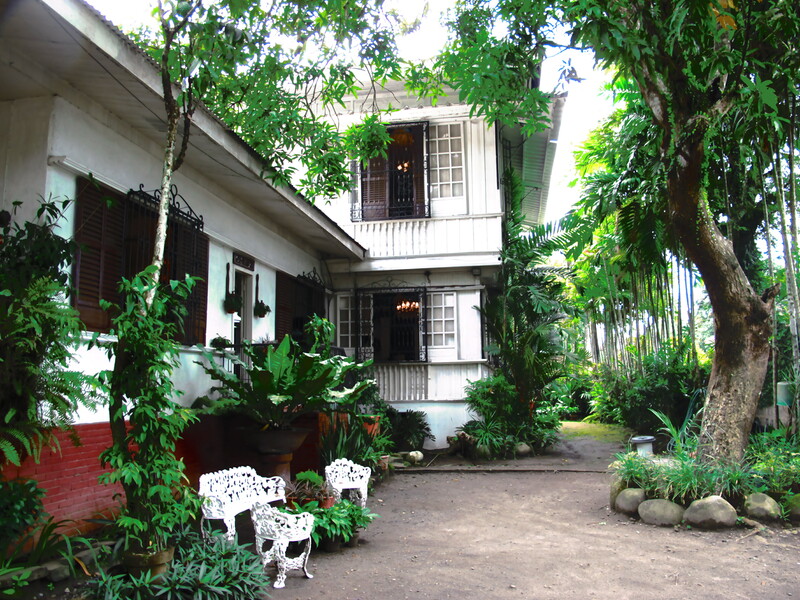 Not just from locals, but this colonial town nearly “frozen in time” makes for a convenient sidetrip from Manila, or even a weekend destination after Tagaytay City. Maybe I should join them up there! After breakfast, I found a small group to walk around with. 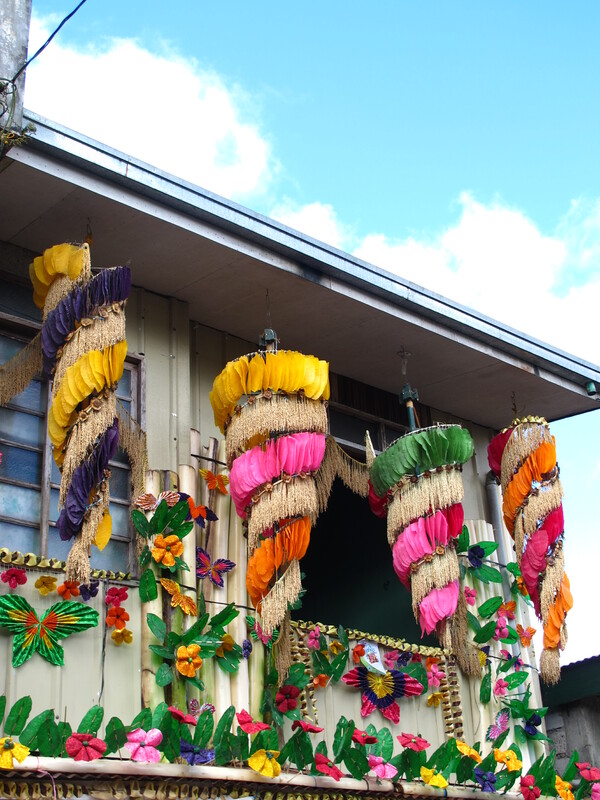 We took to the main street and headed for the Church, then easily found ourselves along streets with colourful Pahiyas decorations. My first time. 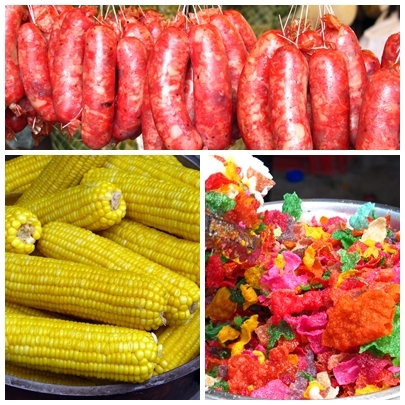 And even after breakfast, I was thinking “Pancit HabHab, Hardinera, and More Lucban Longganiza”. I have to admit I remember a better-tasting, more crispily-fried (with minced pork bursting through the skins) lucban longganiza than the ones I had for breakfast. But that’s fine. Just walking along these streets, you get enough longganizas to smell like one. 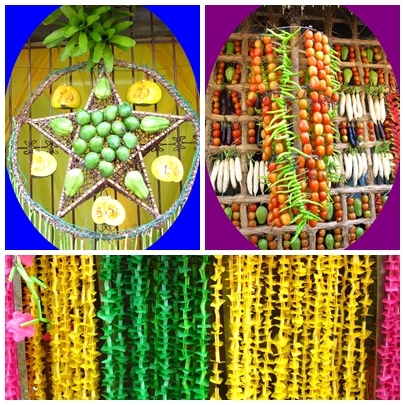 How nice that the people of Lucban preserved this tradition all through the years. 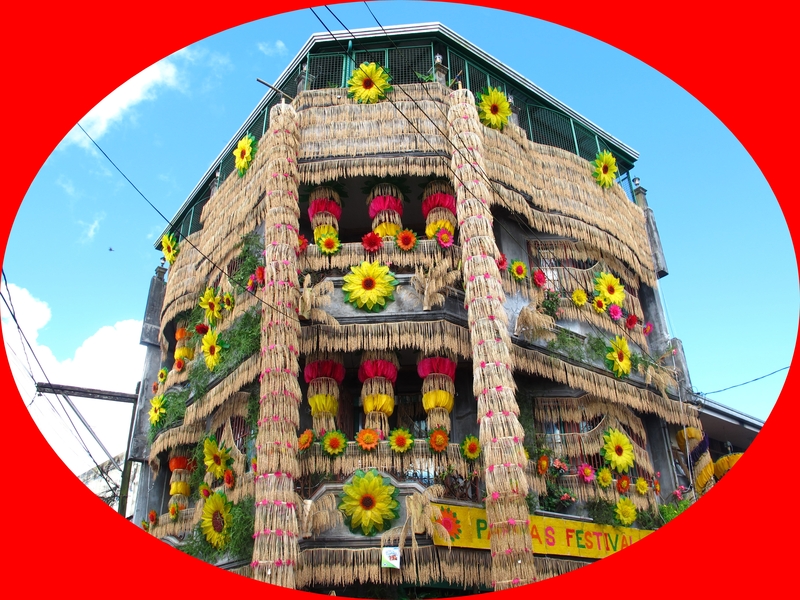 Next time, I would be here much earlier to see how they actually work on the decorations and then transform their homes to these colourful , very original and creative decor. 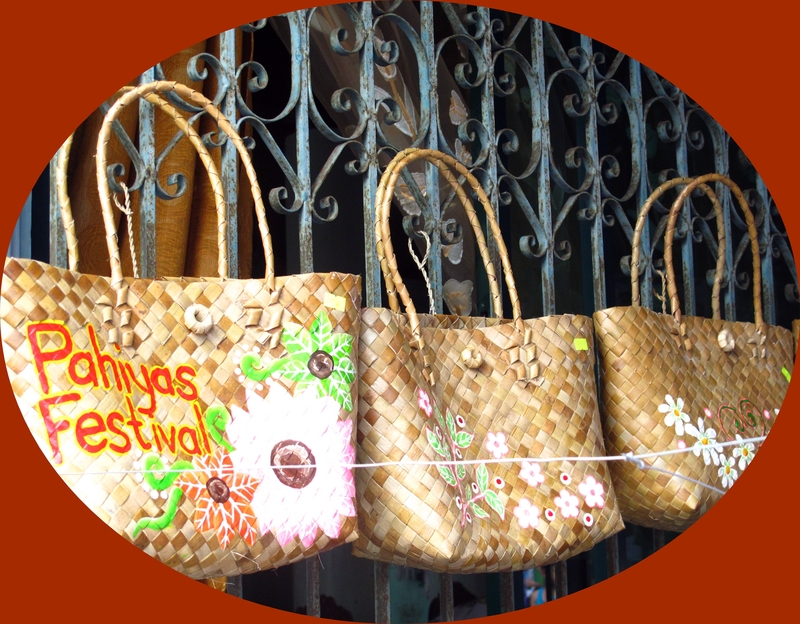 A family effort, they say, to showcase what each family’s livelihood is. A way of offering thanks for their blessings. I will not even bother to complicate the reason for this festival — it is simply, a celebration of gratitude for what we have. There are many young bloggers out there, perhaps arriving just when our group was preparing to leave. Am I glad we came before mid 6am and enjoyed the walk early morning. Towards noon, the sun threatened to burn our shirts and skins sooo bad that I took whatever liquids I found here and there. 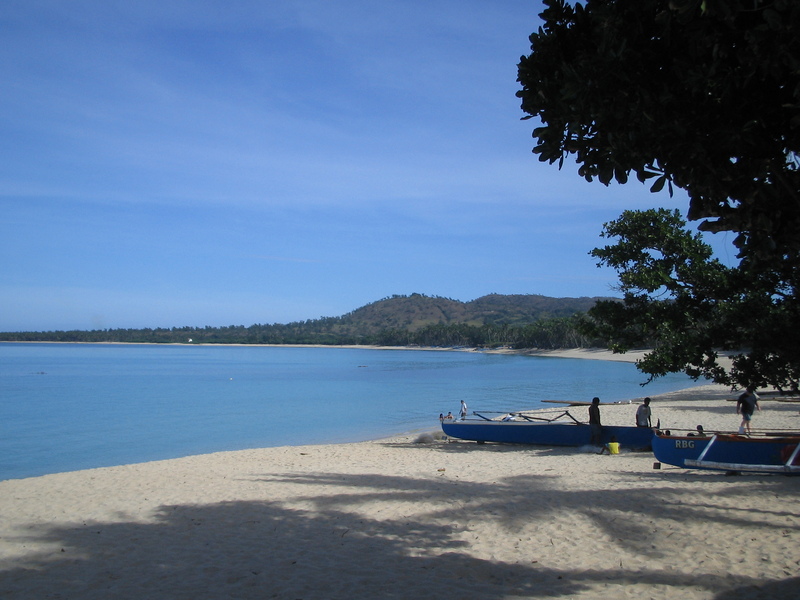 We had to walk a good half hour to reach our bus , meeting many tourists and locals braving the midday sun’s heat. When we reached our bus, the driver and a mechanic were still busily working on the bus. Poor men. While the airconditioning inside the bus was running, we pitied the men working just outside just to make sure we drive safely. Gratitude. That was the day’s theme. An hour or so away by plane, all of 8 to 9 hours travel by road. Take your pick. 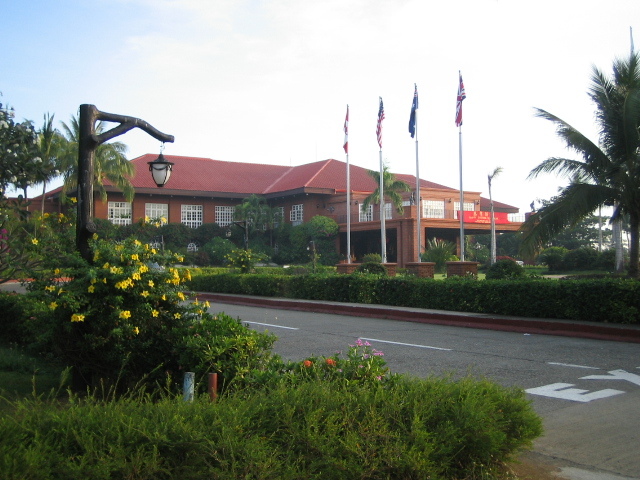 We chose to fly, then rent a car from our base which is Fort Ilocandia Hotel and Resort. 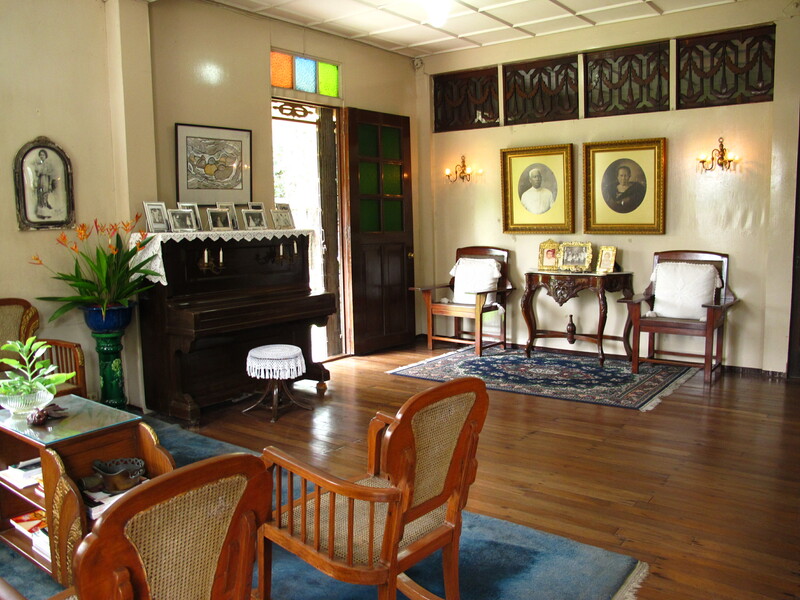 The hotel is a good base for many day trips to various parts of the Ilocos Region. 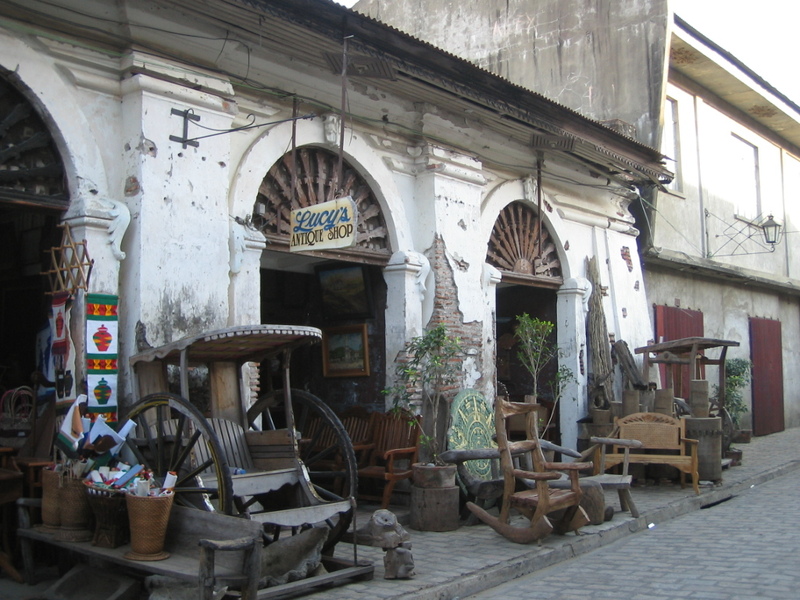 Top of the list is a visit to Vigan, the only surviving colonial town in the country. Declared a UNESCO Heritage Site, it is a must see for all visitors who want to catch a glimpse of how it was in the 18th and early 19th century. 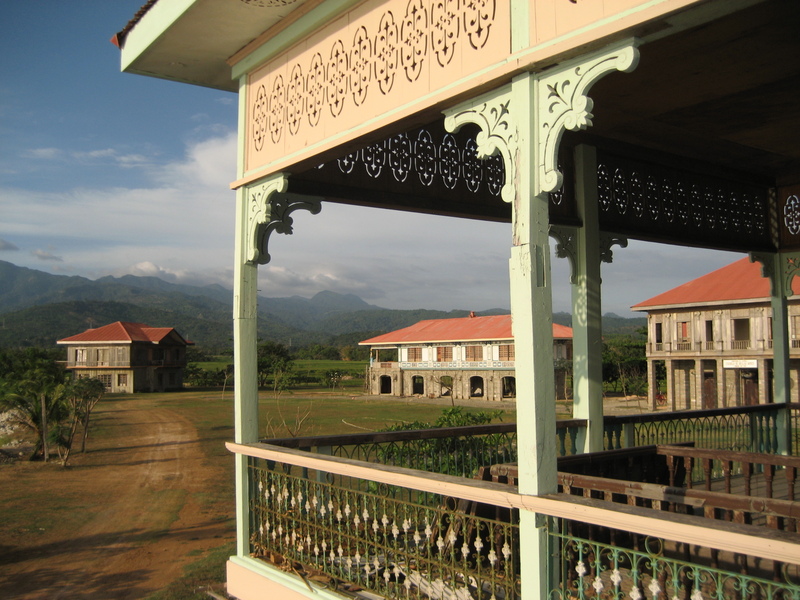 Time stood still in this part of Northern Philippines. 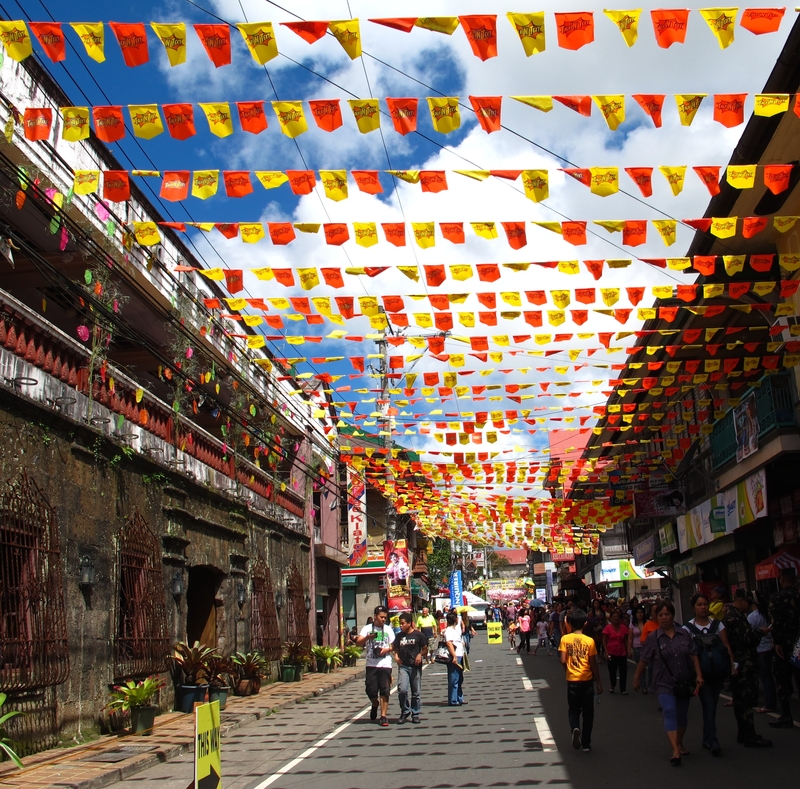 It helped too that Vigan , unlike Cebu and Manila, was spared of the bombing last World War II. Do not forget that Manila is the second most bombed city during that war. 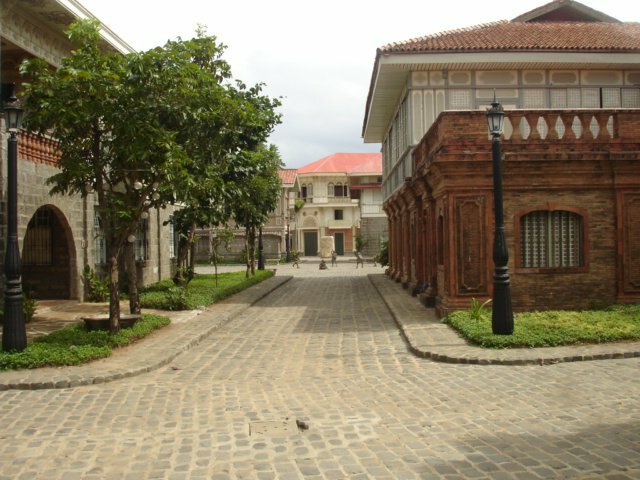 By God’s mercy, Vigan survived and preserved its antiquated houses, cobbled pathways, even the calesas or horse-drawn carts. 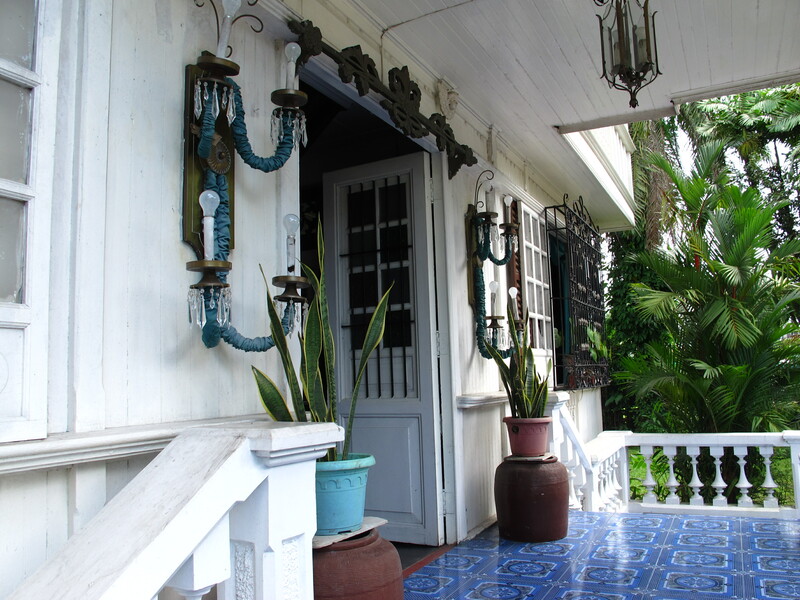 The township with all its narrow streets speak of an architecture which blends Spanish, Asian and Mexican influences. 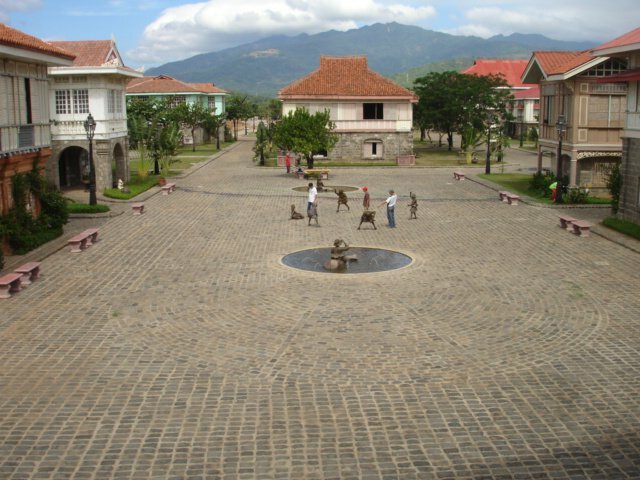 At the time, it was called Ciudad Fernandina before it became Vigan which comes from the word “kabiga-an” where a tuberous plant called “biga” abounds. Then famous as a commercial and trading post, it attracted Chinese junks sailing from the South China Sea. Some of these Chinese seafarers married natives and settled in Vigan. 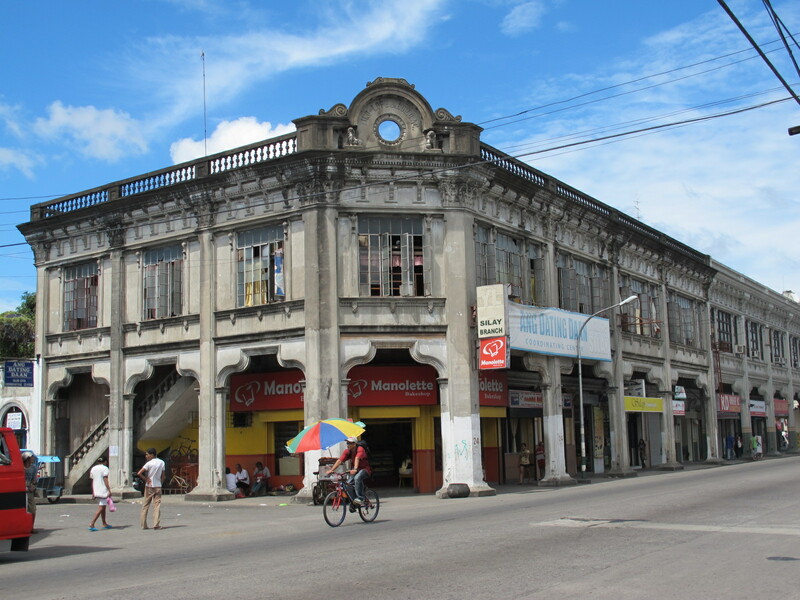 This was long before King Philip II of Spain sent Captain Juan de Salcedo who then “founded” the town in 1572 and called it Ciudad Fernandina in honor of the King’s son Ferdinand who died at an early age. 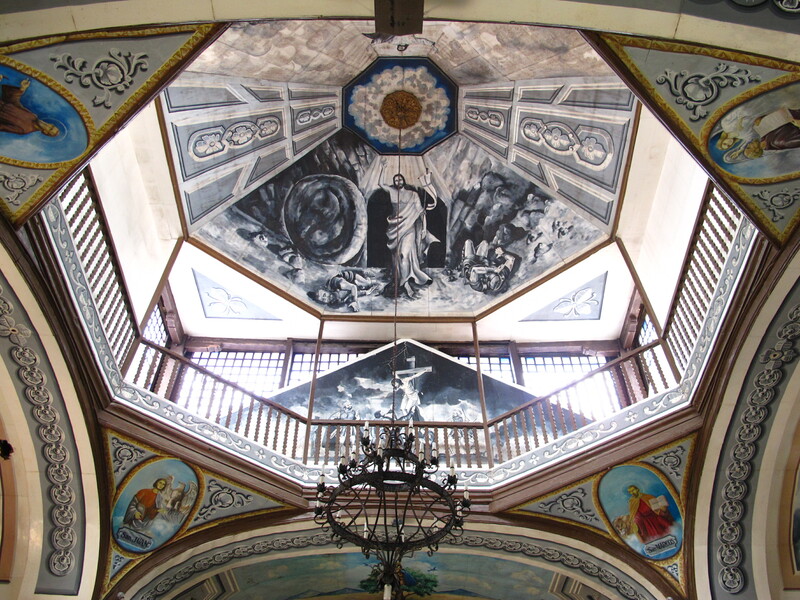 Since then, Augustinian missionaries visited Vigan and the rest of Ilocos Region and initiated the evangelization of the area. 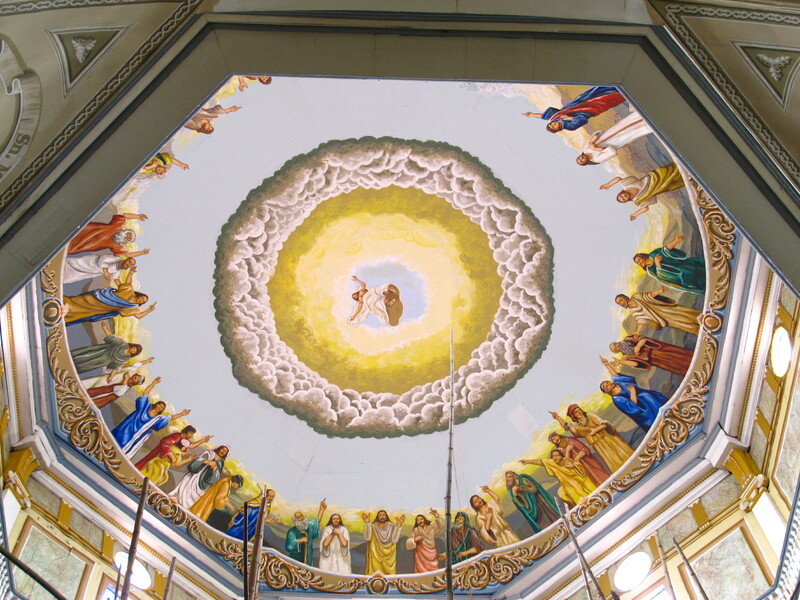 Many churches and monuments still stand today , spared from the bombings of World War II. 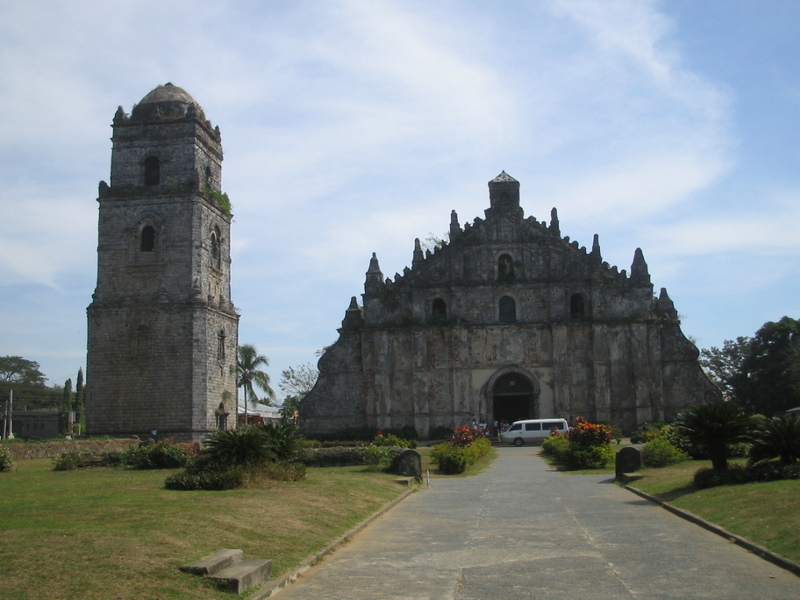 Back in Laoag, Ilocos Norte, we spent the next day visiting Paoay Church, another UNESCO Heritage Site. 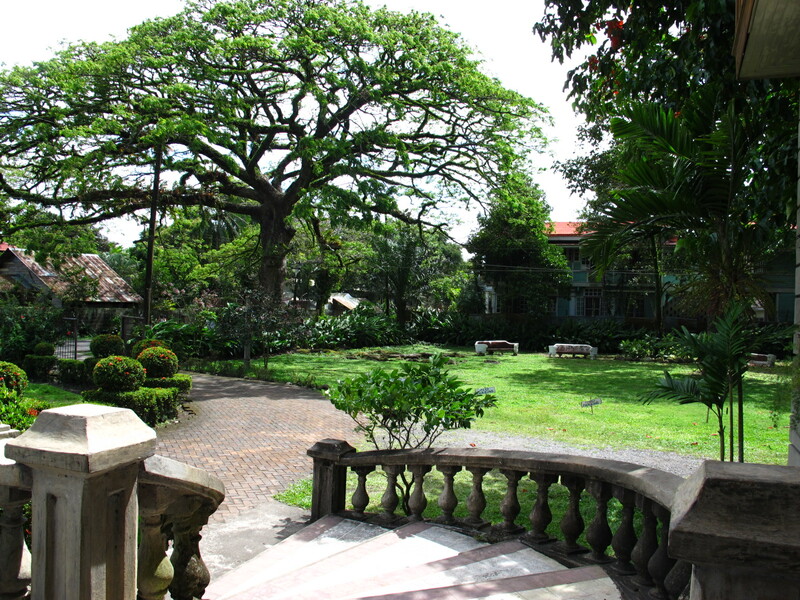 I have not seen a church compound anywhere in the Philippines as grand as this one. 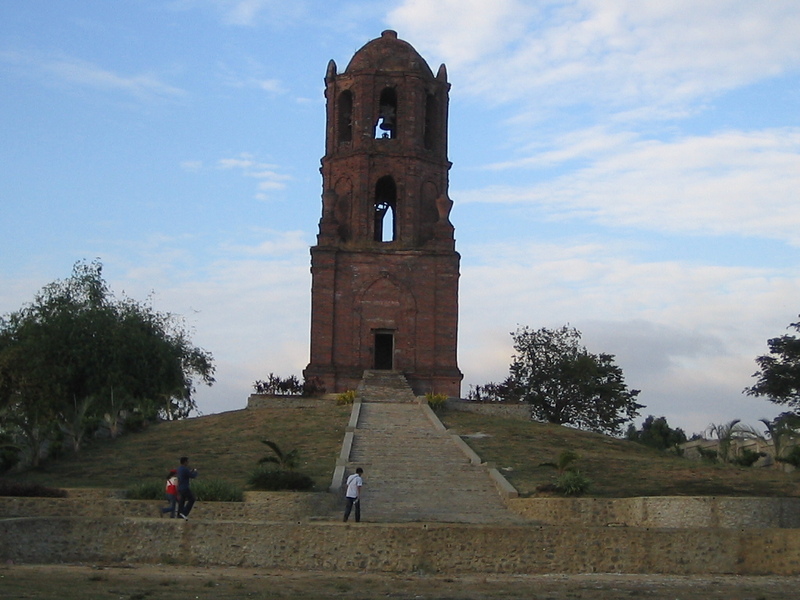 Paoay Church stands proud. It is by no means as grand as the churches you’d find in Europe, but the colonial heritage and the Spanish legacy give it its well-deserved grandeur. Built of bricks and coral blocks, the architecture combines Gothic, Baroque and Oriental. 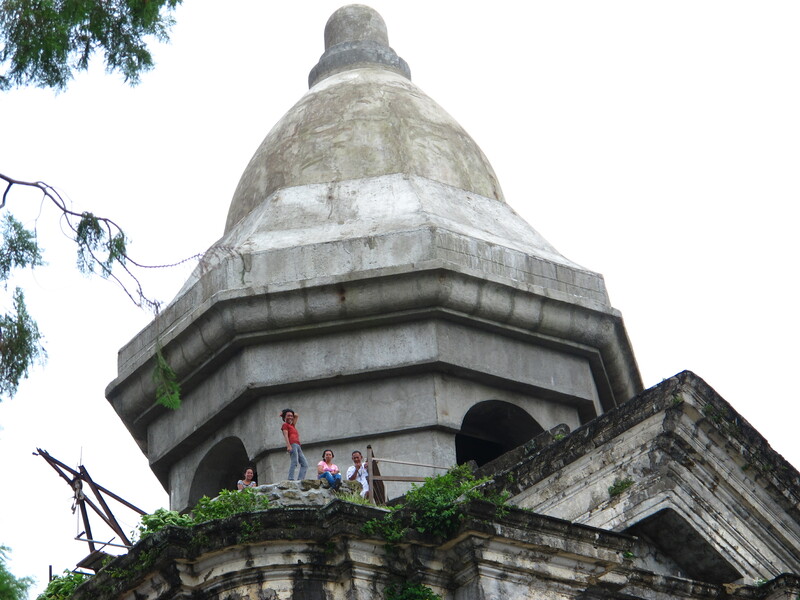 Built over a period of nearly 200 years, the church belltower is a fitting reminder of the Christianization of the Philippines as well as its role in the Philippine Revolution when it was used as an observation post by the local rebels called Katipuneros. 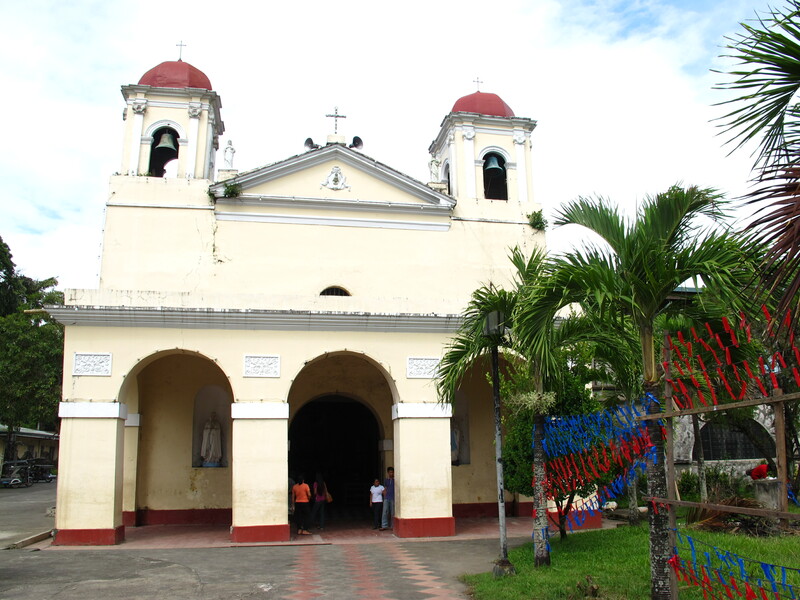 Another church , the St. William’s Church, was built by the Augustinian frailes or priests in 1612 in the Italian Renaissance design. Right next to it is the Sinking Belltower leaning slightly to the North. This is our local though much scaled-down version of the Pisa tower. 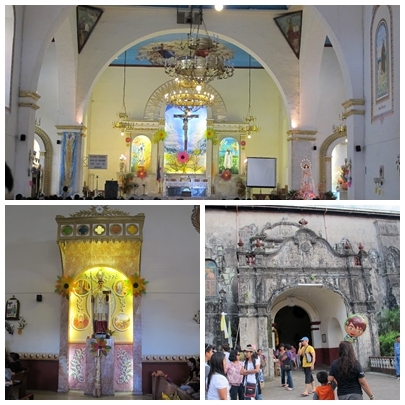 A 3rd church we visited was Sta. 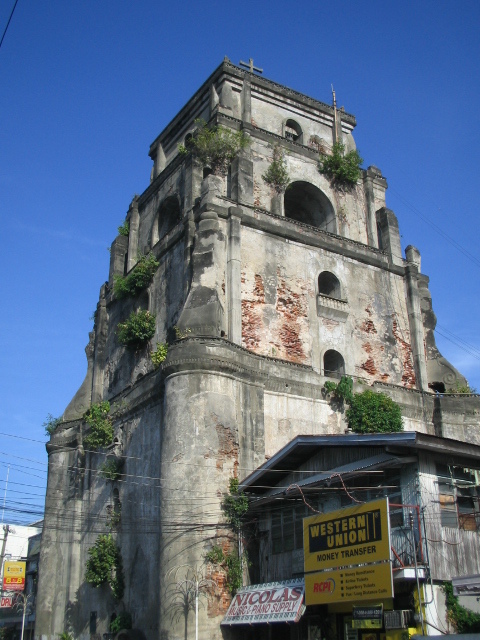 Monica Church , a century old church of neo-classical and baroque architecture. Of more recent history is the fact that ex-President and strongman Ferdinand Marcos hails from Batac, not too far from Laoag. 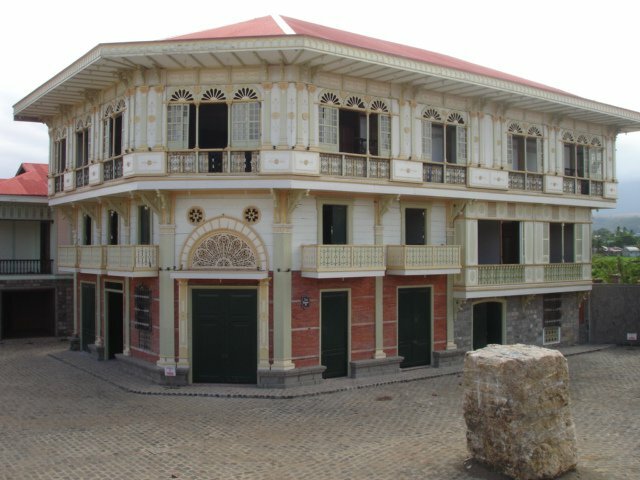 The ancestral house of the Marcoses is now the Marcos Museum and Mausoleoum where the late President’s body lies like a wax statue. 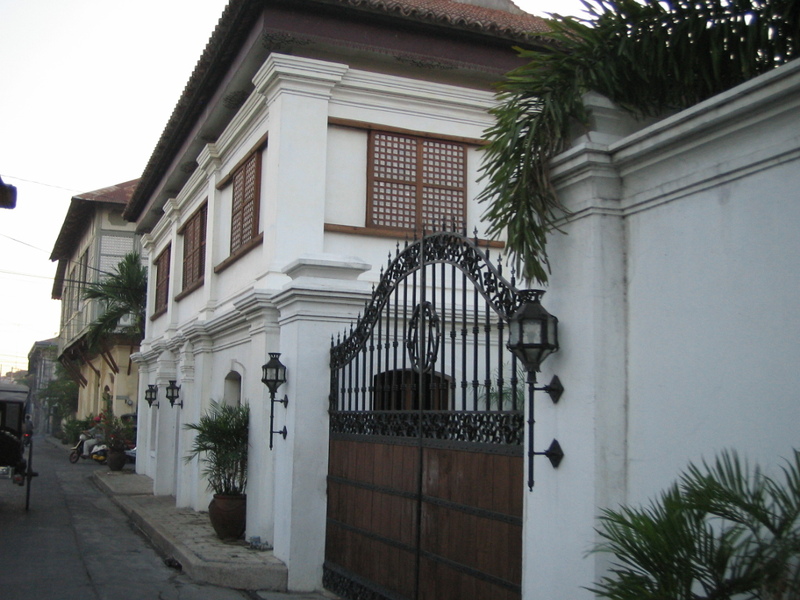 During his 20 year reign, Marcos built a Malacanang of the North (Malacanang in Manila is the official residence of the President, much like the White House in Washington DC). 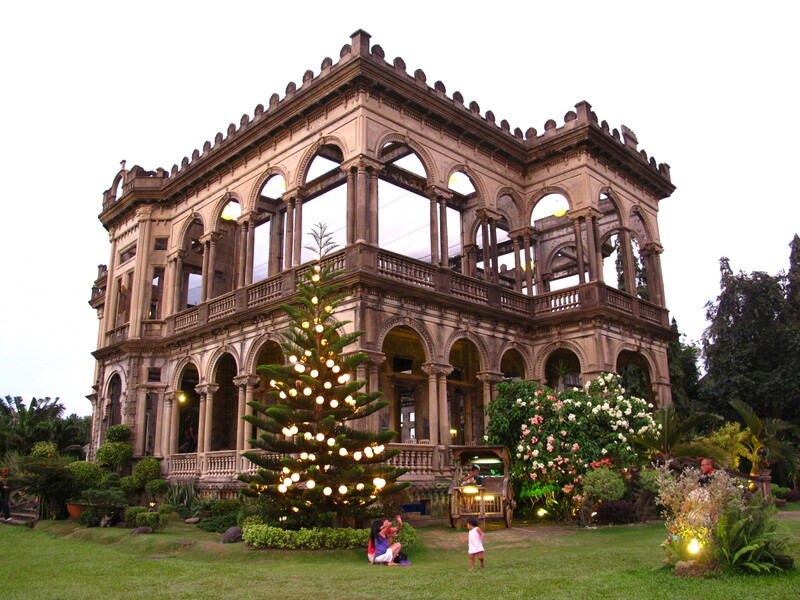 The mansion is an expression of opulence and overlooks the lovely Paoay Lake. 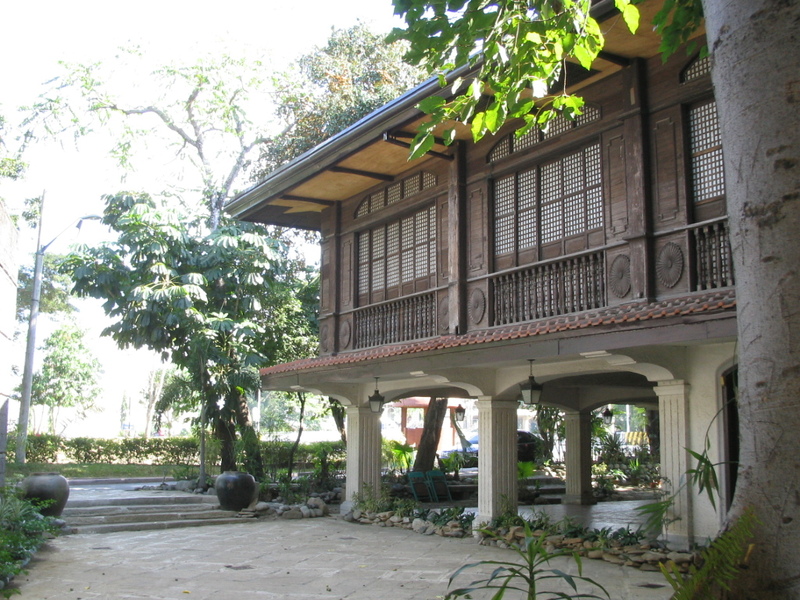 Now a museum, visitors can tour the mansion for a minimal fee. These days, the Ilocos Region is still considered Marcos land despite the fact that the dictator has passed on many years ago. His only son, Ferdinand Junior, Bongbong to most, is the current congressman representing the Ilocos Region. 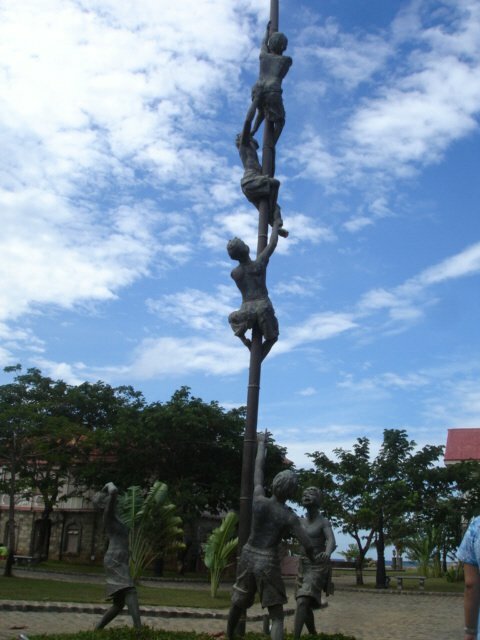 Bongbong earlier served as governor of the province, during which time the Bangui Windmills were established. 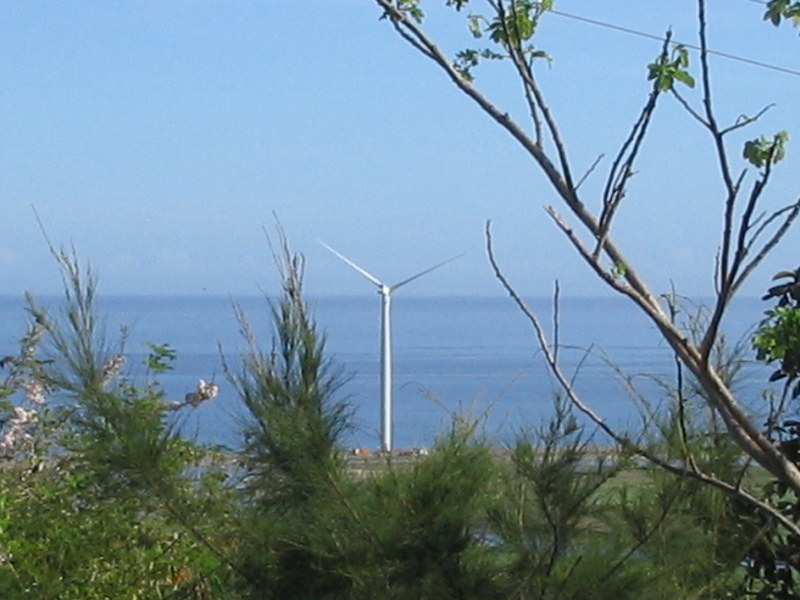 This wind farm lies nearly next to Pagudpud and now has 15 wind turbines. It has since attracted many visitors to the area just to view the 70 meters tall wind turbines. 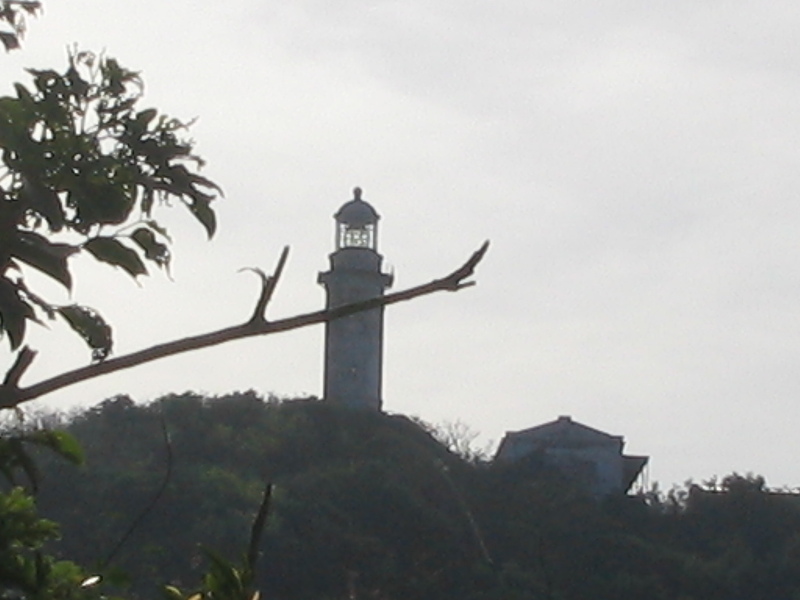 And not too far from here is the Cape Bojeador , a lighthouse built in 1892 north of Laoag City. It is the highest, and I think the oldest, lighthouse in the country. Many Ilocanos to this day idolize the late President Marcos. 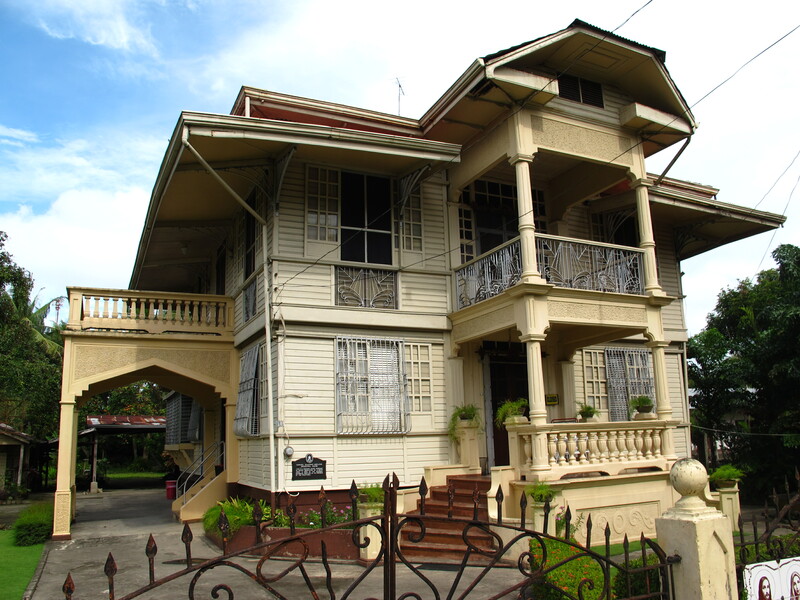 Without dwelling on politics, I will venture to suggest that the more prominent and admirable Ilocanos should be Juan Luna , Diego Silang and his equally brave widow, Gabriela. All three are martyrs and heroes of the land. They have done far more for our country than any other Ilocano. That said, let me invite everyone to visit our land! More photos can be viewed in my TravelBlog site.